Wellington asking prices hit a new high in November – for the third month in a row, according to new Trade Me Property data. The latest Trade Me Property Price Index has the Capital’s average asking price up by 9.4%, or $50,000, on last year to $616,700 in November. Wellington City, Lower Hutt and Upper Hutt all reached new average asking price records in November. Wellington City was up by 9.8% year-on-year to $729,260, while Lower Hutt and Upper Hutt were up by 6.4% to $568,550 and by 8.9% to $552,950 respectively. 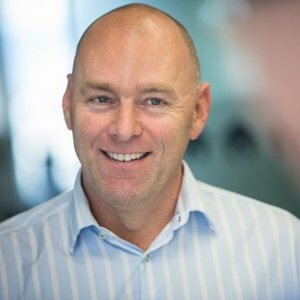 Head of Trade Me Property Nigel Jeffries says the Wellington property market is yet to see the slowdown in growth that Auckland has experienced over the past 12 to 18 months. Supply is struggling to meet demand in the capital, and the number of properties for sale was down 7% on November last year, he says. It is not just Wellington that saw price growth: the data shows that prices rises were the name of the game as the spring market takes hold. November saw the national average asking price up by 3.8 per cent on last year to $663,250 and every region experienced a year-on-year increase. Jeffries says they saw 5% more properties for sale than October and 4% more than November last year. He pointed to the Waikato property market as another doing particularly well at the moment. The region’s average asking price also reached a new record for the third consecutive month in November. It was up by 6.6% year-on-year to hit $574,000. Jeffries says it’s not surprising that Waikato property prices are heading north as its proximity to Auckland sees buyers looking south as Auckland has grown more unaffordable. Hamilton’s average asking price in Hamilton also hit a new high at $591,950 in November. That was an increase of 7.7% on last year. In contrast, Auckland’s prices continued to slow in November, with the region’s average asking price up by just 0.5% on last year to reach $943,400. Average asking prices with in the region were a mixed bag with Manukau City, North Shore City, Papakura, and Rodney all dipping on last November, while Auckland City, Franklin, and Waiheke Island all increased. Jeffries says that while prices in the region remain high, growth has been relatively subdued for the last 12-18 months the heat has come off the Auckland property market. “There is some good news for buyers. The number of properties for sale in November was up 9% on last year, giving buyers more to choose from. “However, we’re still seeing strong demand and the average number of views for Auckland properties was up 17% on November last year."